Caldere and Salesforce Are Partners! Did you know that Caldere Associates are also Salesforce Consulting Partners? Let us help you think about how to use this flexible, complete success platform to not only manage, but also to take full advantage of, your customer relationships and your valuable marketing data. Salesforce is the world’s leading CRM software and enterprise cloud ecosystem, suitable for businesses of any size in any industry, from large industrial enterprises to small non-profits. Because it runs completely in the cloud, it is independent of software and hardware. This means nothing to set up, no tether to a certain machine… you can work from anywhere you have an Internet connection with any device that can access the Internet (phone, laptop, tablet). It is designed to handle all of your interactions with prospects and customers, with integrated solutions that help you with marketing, sales, and support. Connections with communications media from e-mail to social websites give you the ability to personalise and deliver targeted marketing campaigns. Built-in business intelligence capability gets you started on analysing and understanding your data and generating sophisticated, meaningful conclusions. Best of all, a strong cloud app development platform gives you thousands of options to customise your Salesforce experience and to interface with other programs you already use without additional infrastructure. We’re excited about the comprehensive and integrated functionality in Salesforce, and about its ability to make sense of business data and help you profit from it. 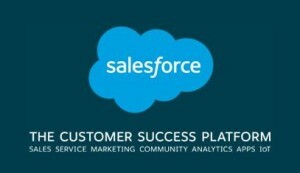 If you would like to explore how Caldere can help you use Salesforce to take care of your sales, support, marketing, communication, and analytics requirements, or to talk about how to take advantage of Salesforce’s powerful tools to bring a fresh perspective to new ways of being successful, please contact us at 0118 9456 220 or info@caldere.com.